Amidst the grungey, abrasive landscape of early-to-mid 1990s rock, only a few bands stood out to carry on the tradition of upbeat melodies and pop hooks. One of these bands was Chicago's Material Issue. Although the power pop trio was almost always more concerned with crafting the perfect melody around quick tales about love instead of sounding overly dark, edgy and pained, Material Issue would ultimately come to a tragic end with the suicide of lead singer and songwriter Jim Ellison. In 1986, Ellison recruited bassist Ted Ansani and drummer Mike Zelenko, and the group released its debut EP the following year. 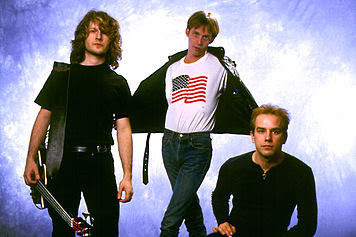 The band's first full-length album, International Pop Overthrow, came in 1991. Produced by Jeff Murphy of classic Chicago power pop band Shoes, the LP was filled with Ellison's impeccable songwriting, playing more like a collection of greatest hits than an original album. International Pop Overthrow produced radio hits in the form of the intense Valerie Loves Me and the straightforward Diane. 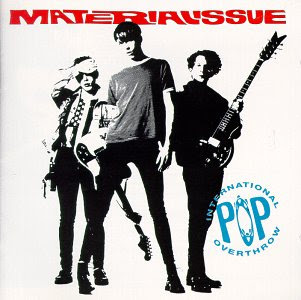 After the success of the debut LP, Material Issue released Destination Universe in 1992 and Freak City Soundtrack in 1994. Although both strong releases, the LPs failed to make as much of a mark as International Pop Overthrow, largely as a result of alternative music drifting further away from the lively pop sound the band mastered. Material Issue continued touring and recording material for a planned fourth album until sadly, and without warning, Ellison committed suicide in June of 1996. Although the reasons for taking his own life remain unclear, it has been speculated that the then recent loss of his band's label, Mercury Records, and an ended romantic relationship were significant factors. The band may have come to a sudden and tragic end in 1996, but the 1990s saviors of power pop have lived on through various releases and tributes. In 1997 Rykodisc released Telecommando Americano, which complied the Material Issue recordings completed between Freak City Soundtrack and Ellison's death. In 2006 a "best of" collection was released. In addition, the annual International Pop Overthrow (IPO) power pop music festival was named after the band. Ansani and Zelenko continue to be active in the music business through various solo projects and Chicago bands, including The Ladies & Gentlemen (Zelenko) and Mighty Pilot (Ansani).